I’ve got a serious Arvon addiction. Over the last seven years I’ve averaged a course a year, as student, accompanying teacher, and latterly tutor. I just can’t keep away. 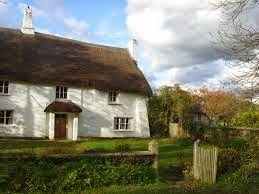 Like thousands of others, I value the beautiful old houses which feel so homely, the bookish environment, the magical way the week gallops and yet feels long and special. 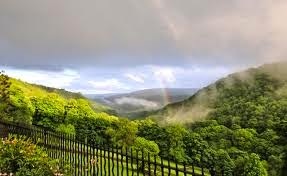 I have made lasting friendships at Arvon, and had the privilege of working with amazing writers such as Lee Weatherly, Celia Rees, Linda Newbery and Malorie Blackman. I spend a lot of time and earn a good part of my living facilitating the creativity of others, in workshops and residencies in schools or colleges. In general I love it. Nineteen years teaching secondary English and watching in horror as the curriculum allows less and less for the creativity of learners and teachers has made me especially value working with teenagers who have somehow managed to hold onto their love for writing. Since 2011 I have run a network of sixth form writers from schools across Belfast. Last month I took this group on their second Arvon residential. Arvon, the national writing charity, has played a crucial role in my career. 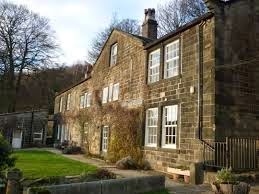 In 2007, with ambitions, a half-finished first draft and not much else, I attended a course on YA with Malorie Blackman and Lee Weatherly at Lumb Bank. It was my first proper contact with real writers, and I could hardly believe that these published, award-winning goddesses would deign to read my words, comment on them and, even more amazingly, tell me that at least some of the words weren’t that bad. Lee, indeed, was kind enough to keep in touch and give me feedback on the finished novel, which became Taking Flight. She’s now a good writing pal, and, in a neat full-circle which would be far too cheesy in a novel, has twice tutored my sixth formers at Arvon. But though I adore Arvon, and genuinely enjoy seeing its magic work on the students, for once I felt I wasn’t really up for it last month. Having been an Arvon tutor myself for the first time in December, I worried that I’d find it hard to go back to the role of accompanying adult and workshop participant. OK, maybe I’m a slight control freak. Besides, I had looming Deadlines – those fancy professional things I used to long for. Specifically an academic chapter about Jacqueline Wilson, and my forthcoming novel to sort out after an editorial meeting involved five minutes of my editors telling me what they liked and 55 minutes telling me what they hated (I can’t plug it here because one of the things they hated was the title). I just hadn’t time for Arvon unless I Used It Wisely. 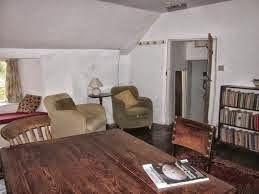 The Arvon day is very structured, with workshops in the morning and readings in the evenings. Being in loco parentis, I and my colleague Maureen, a poet and teacher, had certain responsibilities but even so, we had free time in the afternoons to do our own work. And boy, I had plenty of it to do. Would it be the academic writing, or the novel editing? Both were (and still are) pressing. Neither appealed. 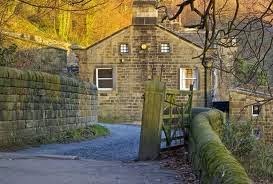 Arvon, for me, is an environment for experimentation, for being at the exciting start of something, for letting things happen. Shortly before I went, my agent, after listening with her usual patience to me witter on about a new idea – for the novel-after-next, said Write me an outline. (Possibly to shut me up.) OK, I thought, I’ll schedule that for July. In the meantime, I have to do the things I’m contracted to do. Because I’m professional and serious. Then I got to Totleigh Barton on a kind March day, with my lovely sixth formers, all at the exciting start of everything. Our tutors were the lovely Lee and the equally lovely Yemisi Blake, and as always on a course for young writers, there was a mix of poetry and prose. Mornings were spent in workshops, and like many teachers I love being able to sit back and be taught by a talented tutor. Then came the first afternoon. The students were on their lawful pursuits, writing or having individual tutorials. I wasn’t on cooking duty. I had from two until seven to sit in my quiet little room and Get Things Done. I opened the Jacqueline Wilson file. Hmm. I opened and swiftly closed the forthcoming novel file. If there is a season for everything, then the season for both these projects was – not yet. Not here. I was surrounded by spring, and young people. I looked out at the daffodils and the coming-to-life kitchen garden and decided that this was no place for academic writing and certainly not for intensive editing. I couldn’t possibly work on the novel-after-next, could I? That first afternoon I did about 1200 words. And the same the next day. It felt illicit and fun and exciting – something writing hasn’t been recently. Perhaps because of this the narrator’s voice came to me easily, cheekily; sparkier and more original than he’d seemed in my neat planning notebook. About 200 words in I realised something surprising about him which I’d not known before and which will make the book much better. Arvon came to an end; it always does. I wasn’t one syllable further on with the academic chapter or the edit. But you know what? I am now. It will be fine. And more importantly, I’ve remembered what I love about making up stories in the first place. Being surprised. I’m sensible and professional and have Deadlines, so I’m not allowed to open that file I started at Arvon. Yet. But when the time comes, I’m ready. Being a bit of a control freak, I have the date marked in my diary. Love Arvon! I only went once - to Totleigh Barton in 1995 - but it was great. Also... that was how I met my first publisher. Like Cathy, I've only been once. It was what got me seriously interested in writing. (What an awful sentence - sorry!) Absolutely marvellous. Good luck with all your projects, Sheena! Absolutely love Arvon. My first experience of it was with a group of educational writers at Totleigh Barton a long time ago, and it was an amazing experience. Since then I have tutored at Moniack Mhor with Cathy MacPhail and Theresa Flavin and guests like Kathryn Ross and Bali Rai. Each time it was amazing, hard work, but so exciting to see people find inspiration and exceed their own expectations. I think the walls have magic in them! Yes, it's wonderful. I did an MA in Creative Writing but it didn't have the impact of that first Arvon week. I loved this post - refreshing honesty that reminded me so much of myself! Thanks for articulating the truth of creative engagement. I'm seriously jealous! 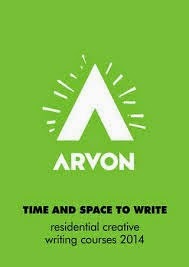 I want to do an Arvon week ... sounds marvellous! Thanks for posting this stunning blog Sheena. I LOVED that you have the date in your diary to open that file you have started. I have one of those.....begun at the Ted Hughes Arvon Centre back in 2010. I'll be opening it again this week after reading your post! A place where you can go on holiday, and write, and get feedback? Sounds wonderful! Thanks for the comments everyone. Am very new to this blogging lark and couldn't have found a better place to do it than here.